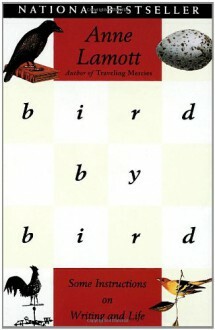 When I decided to get back into writing 13 years ago, Anne Lamott’s Bird by Bird was the first of many books on writing that I bought and read, but so far it’s the only one I’ve reread . . . and reread . . . and reread. This is at least the fourth time I’ve read it all the way through, and I’ve gone back dozens more times to glance at certain lines and sections. Lamott has a very particular point of view in this book, and I periodically need to be reminded of two important things: (1) writing has to be an end in itself; because (2) publishing is not the holy grail. There’s nothing unique about these positions. Most writing books I’ve read include some variation on both themes, and like the others, Lamott brings her own experiences and biases. She wrote this book mid-career, having already published a half-dozen books, so she already knew that publishing didn’t change her life in the way she expected and knew that the writing itself — especially those rare, breathless moments when everything just works — was the real reason to write. It’s too painful and frustrating and maddening, too unpredictable and mostly non-lucrative. She also knows the only way to keep going is to just keep going, bird by bird, short assignment by short assignment, one-inch picture frame by one-inch picture frame. Sit down every day to write, even when you don’t want to. It’s just as well that she doesn’t dwell too much on publishing, because this book is already dated to a certain degree. She clearly wrote this pre-Internet, so there’s no mention of email or Google or Craigslist or online writing groups or self-publishing. She chooses to focus on her own frustrations to show that the rest of us are not alone or unique in our failures, chooses to write about her own successes to show that hard work can pay off, even if not for long and not in the way one might expect. She doesn’t try to dampen our enthusiasm so much as temper our expectations and harden us against the stark reality that very few people make a good living writing books. So if we still insist on giving it a go, we’d better learn to love the process. Big dreams are fine, important even, but we might think about keeping them in a box so they don’t distract us from the very real work required to get there. I’ve been re-energized this week since rereading . I’ve been taking joy in the simple act of sitting down, giving myself short assignments, and finishing them. I have a renewed sense purpose and direction. I feel like a writer again, and that’s all I really needed. Pat Conroy was a writer I had known of over many years by reputation. His books, 'The Lords of Discipline', 'The Great Santini', 'The Prince of Tides', and 'My Losing Season' I knew of through either their movie adaptations or via a National Public Radio (NPR) interview. This NPR interview Conroy gave when he was promoting his novel, 'My Losing Season' was one of the best I had ever heard. Conroy was so engaging, both with the radio host and the callers, that he made me - who has yet to read any of his novels - interested in the subject matter. Here was someone, I felt, who cared deeply about the subjects in his novel, and had a deep love for language and the written word. I was enthralled. So, when I recently came across "A LOWCOUNTRY HEART: Reflections on a Writing Life" in a local independent bookstore, I had to have it. And it doesn't disappoint. This book - containing several of Pat Conroy's musings, reflections, blogs (a word he deplored), speeches, and eulogies from his widow, daughter, and best friend - gives the reader as full and rich a measure of Pat Conroy the writer and man that we are likely to get. He came across to me as a writer who loved and cherished the written word, the fans of his books, enjoyed the company of his fellow writers and their books, was very encouraging and supportive of women writers and up-and-coming writers, valued people, and embraced life to the full. 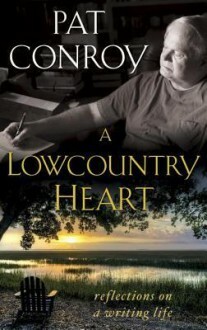 "A LOWCOUNTRY HEART" I highly recommend for anyone who wants a fuller understanding of who Pat Conroy was and why his novels encapsulate so much of the magic, power, and beauty of geography, as well as the varied dimensions of the human condition throughout life. Humourous look at being a writer and what you need to do, reminding me that the problem exists for me between keyboard and seat. Write as if you were dying. At the same time, assume you write for an audience consisting solely of terminal patients. That is, after all, the case. What would you begin writing if you knew you would die soon? What could you say to a dying person that would not enrage by its triviality? I am in desperate need to get back on the writing wagon. I don't know why I've been so out of it this year, maybe it was graduating from my undergrad in May and immediately starting my graduate degree this week. Maybe it's something else that I can't think of at the moment, so I needed to get into the mind of a writer and read about her thoughts on writing. 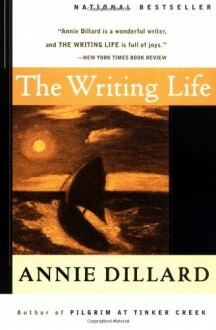 Dillard intertwines her daily life and her writing life with ease, sweeping in and out of metaphors with incredible ease. Her thoughts on what writing is and how it impacts your life, how a novel takes years (not months) to be written and many other things resonated with me. However, I expected to find more writerly musings and fewer essays about her life in Washington state. It was easy for me to be distracted at certain points, even if she did paint a riveting picture of the mountains and the fury of Mother Nature. Still, her wisdom on writing is solid and it's worth reading for that alone.